Former (soon) Pittsburgh star running back Le’Von Bell is taking the ultimate gamble on his skill and marketability, and what happens may or may not mark a significant turn in terms of how the NFL values running backs, and what it’s willing to pay them. 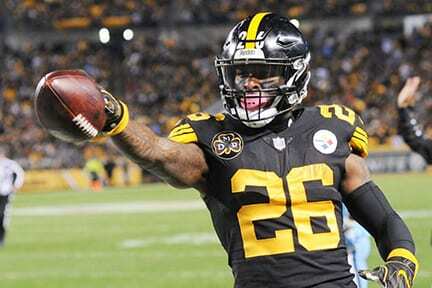 Bell announced last week that he would not be reporting to the Steelers this season. He is going to take the complete year off in order to become an unrestricted free agent, able to pursue what has been both his goal and that of his agent since this quest began last summer: becoming the NFL’s highest paid running back. The contract that Bell wants to surpass according to various reports is the one given Los Angeles Rams running back Todd Gurley. Gurley reportedly was given a four-year deal worth a total of $57.5 million, $45 million of it guaranteed. Bell supposedly will be seeking a much bigger deal. Various stories claim his asking price will be $17 million a year, and he wants a deal worth $85 million in total, with $45 million guaranteed. That would work out to a five-year deal at the $17 million figure. Naturally, Bell is assuming he can play the full five years of the contract, but the $45 million guarantee would equal Gurley’s signing bonus, and the extra year would surpass it. There is more intrigue around this because many thought Bell would report in time for the final few games and be willing to accept the franchise tag. However it seems there was a major dispute over what that franchise tag price would be. The Steelers figured he should be paid $9.5 million. Bell’s camp felt he should get the full value of the franchise tag for a complete season, or $14.54 million rather than a pro-rated figure. Those who side with players in these matters are applauding Bell’s courage and willingness to forego a complete year of pay that 99 and 3/4% of the population will never remotely have a chance to earn. They argue that the average life span of a pro football player, let alone a running back, is less than five years, and you should maximize it as soon as you can. If Bell is willing to forfeit all that money they reason, then good for him and they hope it pays off. Those who see him as just another greedy, already overpaid pro athlete think he’s being ridiculous, putting his personal profit ahead of his team, one that tolerated a lot of behavior many felt was borderline selfish and even offensive. They point to the stellar season his replacement James Connor is having as evidence any running back, even one who carried and caught the ball as much as Bell did last year, can be replaced, and that no player other than a QB is THAT indispensable. What ultimately happens will be closely watched by many people, most notably NFL players and owners. Bell’s fate, what team is willing to sign him (if any), and for how much, will be the number one pro football story of 2019, even more than who wins the Super Bowl.